Below is a prayer about overcoming and conquering worldly woes in Jesus’ name. Previously posted as “Overcome With Christ”, I have revised it to be a more personal prayer. As you read it, use the Scripture references with the prayer, fully anticipating God’s victory in your life. Worship Him with gladness as He fills you with His Holy Spirit and a wonderful sense of overcoming in His Name! Lord Jesus Christ, we come before you right now, proclaiming your honor, glory, and power. We give you praise for who you are. We love you, Lord God, and we cry out for your peace. Come, Lord Jesus! Father God, your example of parenthood demonstrates a beautiful model for us earthly parents. You desire our obedience because you love and care for us. We as parents long for our own children to obey us because we love and care for them. Yet just as our own children break our hearts from time to time, so we too at times break your heart with our disobedience. Forgive us; forgive me! Lord God, you have called me into righteousness. You offered to take my hand and daily walk with me, but I would not. Instead I turned away and chose idols, looking to satisfy my hunger through other means (Isaiah 42-43:1-7). After much seeking and many mistakes, I desire to return to you. Forgive me, Lord, and grant me your mercy and grace. Holy Father, I offer my repentant heart to you. Wash away my sin of disobedience. 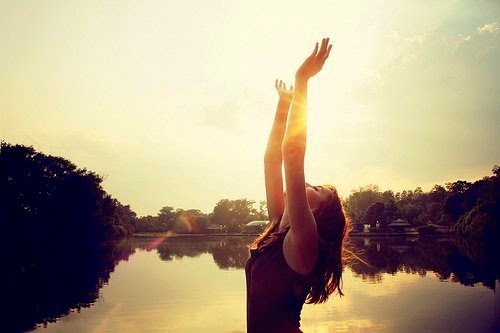 As you deliver me from my sin and guilt, I will give you praise and thanks (Psalm 86:16, Psalm 51). Help me, Father, to be a godly example to my own children. God, you said you had plans for me and my children, plans that would prosper us and give us hope. 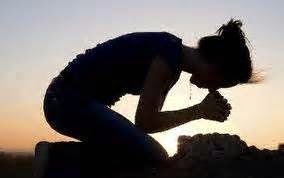 I am crying out to you, Father God, for me and my children. You promised to listen, Lord; hear me, I pray, and answer my call. I turn to you and seek you with my whole heart. I want to know you more and learn from you (Jeremiah 29:11-14). And Father God, I yearn for my children to follow you as well. Jesus Christ, remind me and my children that You are who You say You are—the Great I AM. Your path leads to the Heavenly Father as you are the Way, the Truth, and the Life (John 14:6). Through the cross, you defeated sin and death and with your resurrection, you gained life eternal for all who would believe on your mighty name—JESUS. Forgive us, Lord Jesus, and free us from the things that bind us. Your Word says when you set us free, we are free indeed. We trust you as we hold tightly to your teachings (John 8:31-36). Holy Spirit, comfort us in our distress with your peace. Help us when we doubt your presence and your word (“I do believe; help me overcome my unbelief!” Mark 9:24). Remind us of the price you paid for our sins; your victory covers us! When we repent, seek with our whole heart, and believe on your name, we will walk as overcomers in Christ Jesus. You’ve given us authority to overcome evil and we take authority over our life situations in Your name. Assist us, Lord God, in overcoming evil with good (Luke 10:19, John 1:5, John 16:33, Romans 12:21, 1 Corinthians 15:57, 1 John 5:4-5). We stand firm on your holy Word, mighty Savior, and cling to your promises for us and our children. All your promises are “Yes” in the name of Jesus. And now in Jesus’ name, we give you thanks and praise, with a loud “AMEN” (2 Corinthians 1:20). Come, Holy Spirit, and let it be so! “Jhejus,” my two-year-old grandson said to me while pointing to the framed picture of Jesus and a sinner. My heart soared because I knew his innocent mind recognized our Savior. Earlier I walked into a “teachable moment” as my granddaughter asked her mother about the picture. “Who is that and why is he holding him?” she said. 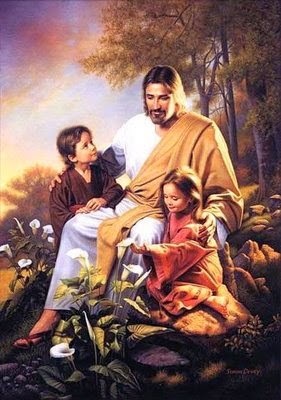 My daughter-in-law pointed to Jesus saying, “Jesus is telling the sad man that He loves him.” Their little inquisitive faces gazed up at their mom then back to the picture. Intently they listened when she told them Jesus loved everybody and wanted to help people. They smiled, satisfied with her answer. In Mark’s account of Jesus, news spread across the Judean region of a teacher who healed and blessed people. Crowds followed Him. Some questioned Jesus while others desired miracles. Parents wanted their children to be blessed by Him—what a beautiful image! Faith in God through Jesus Christ needs to be rooted deeply within our hearts and lived out in our daily lives. Children will notice and hopefully mature in the knowledge of the One who loves them more than we can imagine. Let’s live out faith by following God’s directives, first believing for ourselves then teaching our children. God’s blessings will flow. Can’t you already feel the warmth of Jesus’ hand upon your back? Forgive us as we forgive everyone else. Jesus said to his disciples, “Suppose one of you has a friend. Suppose you go to him at midnight and say, ‘Friend, let me borrow three loaves of bread. A friend of mine on a trip has dropped in on me, and I don’t have anything to serve him.’ Your friend might answer you from inside his house, ‘Don’t bother me! The door is already locked, and my children are in bed. I can’t get up to give you anything.’ I can guarantee that although he doesn’t want to get up to give you anything, he will get up and give you whatever you need because he is your friend and because you were so bold. “So I tell you to ask, and you will receive. Search, and you will find. Knock, and the door will be opened for you. Everyone who asks will receive. The one who searches will find, and for the person who knocks, the door will be opened. Mommy, can I have some more milk? Can I have a piece of cake? Daddy, can I go out with my friends? Can I have some money? Can I have a car? Can I_______; you fill in the blank. From the mouths of children to the ears of parents, I’m sure many moms and dads have heard similar questions. Such inquiries might have been expected while other questions unpredictably emerged. Whatever the query, it’s not surprising when children ask things of their parents. What might be startling are the answers. Most parents desire to give good gifts to their children. There is a love so deep for one’s own children that most parents would die for them. Wisdom comes with age and a parent’s knowledge enables them to make wise decisions for their children (until they are old enough to make their own decisions which forces most parents into a humble prayerful position). Our heavenly Father desires to give us (His children) good gifts. He loves us so much that He sent us Jesus who DID die for us. He is our Creator, Redeemer, Mighty Lord, and Savior; He KNOWS what is best for us. And He (Jesus) continuously prays for us at the throne of our Heavenly Father. (The fact that Jesus prays for us is so awesome. Read the references below from the God’s Word Translation found at this website...... http://www.biblegateway.com). Isaiah 53:12 So I will give him a share among the mighty, and he will divide the prize with the strong, because he poured out his life in death and he was counted with sinners. He carried the sins of many. He intercedes for those who are rebellious. Romans 8:26 At the same time the Spirit also helps us in our weakness, because we don’t know how to pray for what we need. But the Spirit intercedes along with our groans that cannot be expressed in words. Romans 8:27 The one who searches our hearts knows what the Spirit has in mind. The Spirit intercedes for God’s people the way God wants him to. Romans 8:34 Who will condemn them? Christ has died, and more importantly, he was brought back to life. Christ has the highest position in heaven. Christ also intercedes for us. 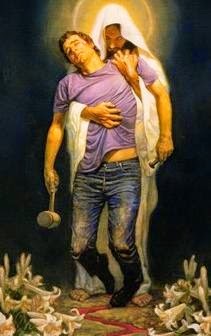 Hebrews 7:25 That is why he is always able to save those who come to God through him. He can do this because he always lives and intercedes for them. Parents usually know what’s best for their children and they desire their children’s trust. Doesn’t it work the same way with Abba Father (Daddy God)? After Jesus’ resurrection, He sent the Holy Spirit to believers to support daily living. He offers strength, peace, comfort, and whatever else we need to live a godly life. He yearns for us to trust Him with the right answers to our questions. Do we? Are we convinced He knows how to give us good gifts? Try asking your heavenly Father for more of the Holy Spirit and accept with open arms the gifts He gives. As you pray for the welfare of your own children, know Jesus always intercedes before the Father for you and them as well. Whatever it is you need and ask for, have faith in Father God for the best answer possible. Trust Him with your life while asking for more of Him. Today in the United States we celebrate Father’s Day. Be thankful for the earthly father who helped give you life. Give thanks to the Heavenly Father who created you, died to save you from your sins, and now lives to enhance your daily life. Ask Jesus to indwell you with His Holy Spirit, and then ask for more of Him. As He blesses you, serve Him with gladness. “You are my Son, whom I love. I am pleased with you,” Jesus heard His heavenly Father say at His baptism. The sensation of warmth and affection most likely flooded His soul as His smiling face gazed heavenward. Such words can certainly booster confidence! I’m sure those words strengthened Jesus as the Holy Spirit led Him into the hot and dusty desert for forty days, where Satan tested and mocked Him. Even though He grew hungry and probably frustrated, daily His Father supplied nourishment and sustained Him in the wilderness. Jesus bore the highs and lows of human life. He encountered all types of situations and reactions from people, witnessing various emotions and experiencing them as well. From the love and friendship of His closest friends and family to the death of them as well, He lived as we do (Luke 1:5-45, Luke 10:38-42, John 11:1-44, Matthew 3:1-17, Matthew 14:1-13 - these are references about Jesus and John the Baptist, Jesus and Mary, Martha, Lazarus). Soon after Jesus’ departure from the desert, He traveled through Galilee teaching God’s words to crowds of people. He later entered His hometown of Nazareth and participated in worship at the synagogue. The book of Luke (4:16-21) records Jesus as He stood before an audience and read from Isaiah 61:1-3. When He closed the book and sat down, He declared to the listeners that He fulfilled those Scriptures. As you read the passage from Isaiah below, imagine what thoughts developed within the spectators’ minds. What are your thoughts as you read Jesus’ words? Possibly at some point in your life thorny words like unworthy, stupid, ugly, slow, fat, skinny, worthless, or idiot pierced your heart and the pain remains to this day. The application of His words to your soul could be like salve to a gaping wound. Jesus, the fulfillment of Old Testament prophecy, offers balm for troubled spirits, release for imprisoned souls, comfort for grief, joy instead of sorrow, and a crown instead of ashes. Yet we wonder—can He really transform my ashy life into beauty? Yes, Jesus can transform us because He says so! He came to release and heal captives of misery through the great exchange at the cross. He takes upon Himself our tears and grief and gives us His love and peace (John 14:27, 1 John 3:1). He comes to sweep away the ashes from the fires that have burned us and cover us with His beauty. Like a phoenix rising from the ashes, we can be reborn and live anew in this life (description below). * But remember the phoenix is a mythical bird; it is the grace of Jesus Christ that gives us new life. And because He is such a gentleman and gives us free choice, He waits for us to make the decision for Him to enter our lives and clean us up. 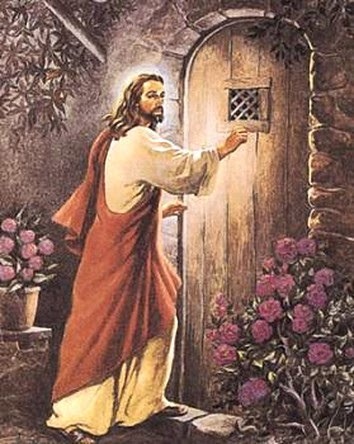 He’s knocking: will you let Him in? Down deep inside of us females is a little girl who wants to be a princess. Allow your Prince to enter your heart, sweep out the ashes, and beautifully crown you with His love. If you listen closely, you can even hear Him singing over you with joy (Zephaniah 3:17). Below are Scripture verses to meditate on; submit to God’s grace and let the power of His words heal your hurts. You are upheld in the palm of my Hand. You are freed from you chains. You are filled with my Holy Spirit. My skies are always gray. I’m messed up and miserable. I have so much regret. There you have it—an incomplete “a to z” of negative feelings, and all of us, if we’re honest, have entertained those thoughts and probably more. Oh how those feelings discourage and degrade a person! There is nothing redeemable in those phrases......but GOD! Only a God of grace and mercy can lift a person up and out of such a destructive path. King David felt these negative feelings at different times in his life and he wrote them down in song. We have them in the book of Psalms. As we read his words, we can make them our words while pouring our hearts out to the Lord. If you’re experiencing any defeatist attitude, pray or sing the following psalm to God while waiting faithfully and expectantly for His answer. Praise God! Those unworthy negative thoughts and feelings that sometimes captivate our minds can be released by our Redeemer Jesus Christ. He came to save us (John 3:16-17) from our sins and He can lift us out of the nasty murky mire that periodically tries to surround and invade us. Do you have any idea what it means to be the “apple of His eye?” At one time the pupil in an eye was known as the apple because of its spherical shape, and because the pupil is crucial to the eye, it is symbolic of something held in high esteem. To be the “apple of His eye” means you are cherished, treasured, and adored by your heavenly Father. * You are loved! Throw away the negative thoughts and stay tuned for next week’s “You Are Beautiful.” In the meantime, rejoice with psalms, songs, and spiritual songs. *James Rogers, The Dictionary of Cliches (New York: Random, 1985) 8.